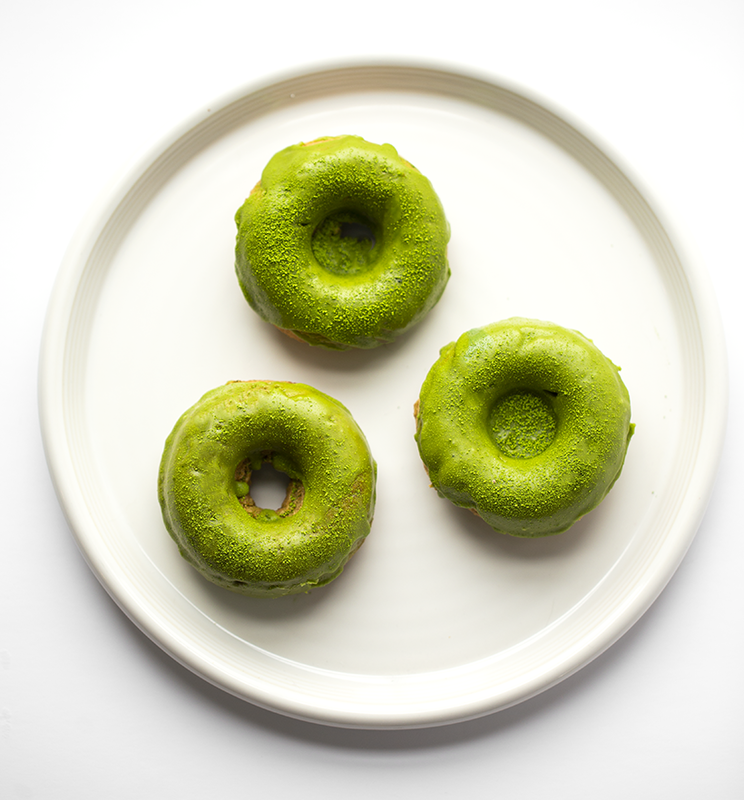 I had so much fun making these Vegan Glazed Donuts today. 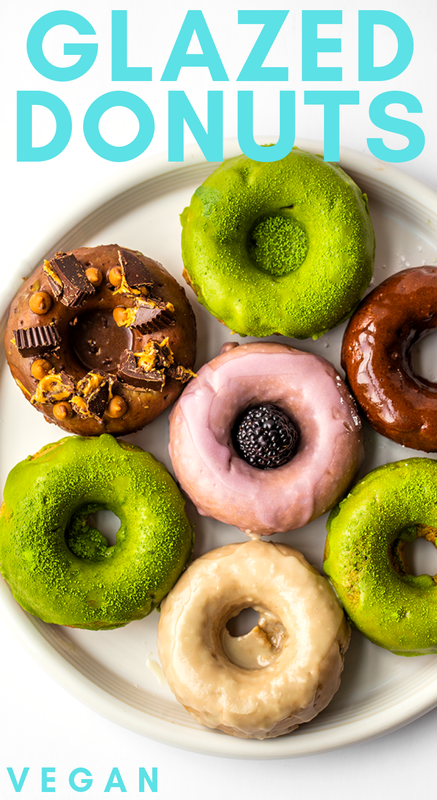 I used an array of glaze colors and flavors and made a few batches to really perfect the donut batter. 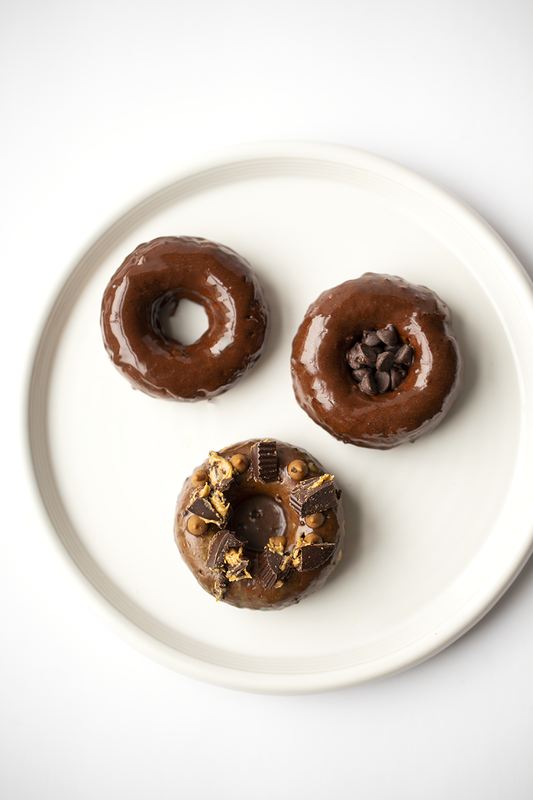 These donuts are vegan and baked and made using spelt four, although they taste just as amazing and satisfying as anything fried or even yeasted! I do a triple dip on my glaze to get a thick smooth coating. Raise your hand if you love donuts? Me too. 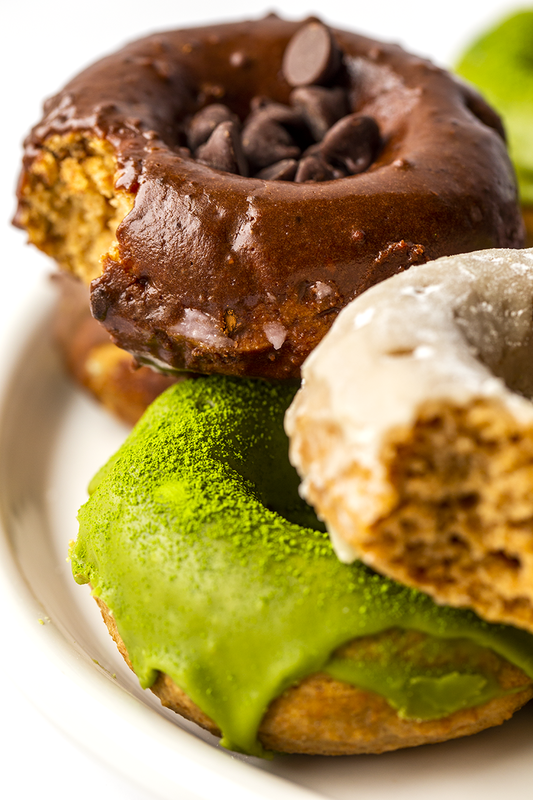 Coffee and donuts, even better. 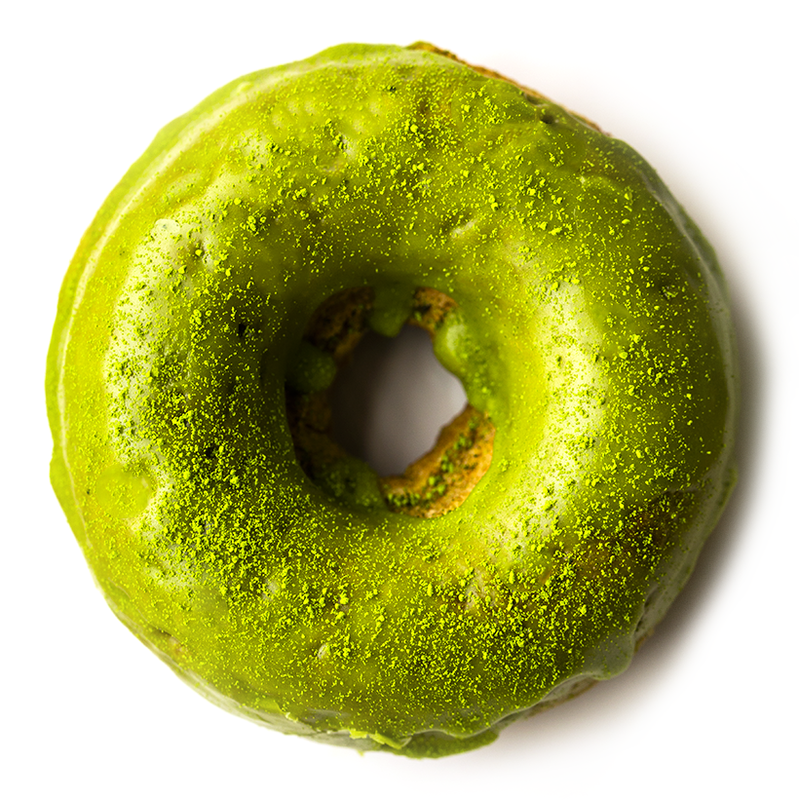 Matcha and donuts, that works too. Tea and donuts, yup. Donuts and donuts, oh yeah. Baking mood? 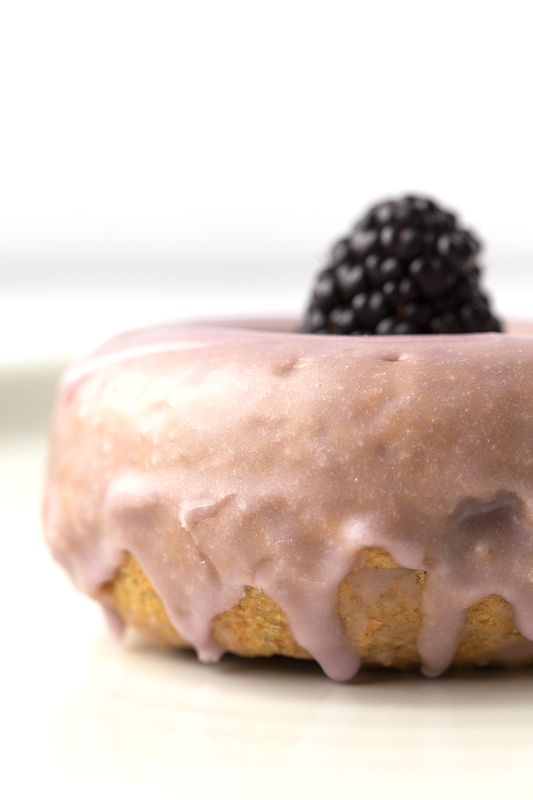 Donuts are super fun and fast to make. They bake in a flash, just over ten minutes. And the batter is easy to whip up. 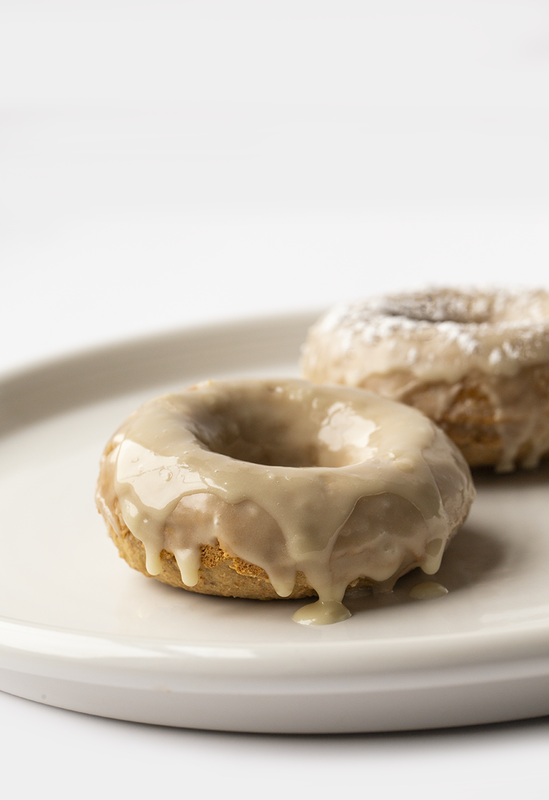 You can get really creative with the glaze, or keep it super simple with basic vanilla. 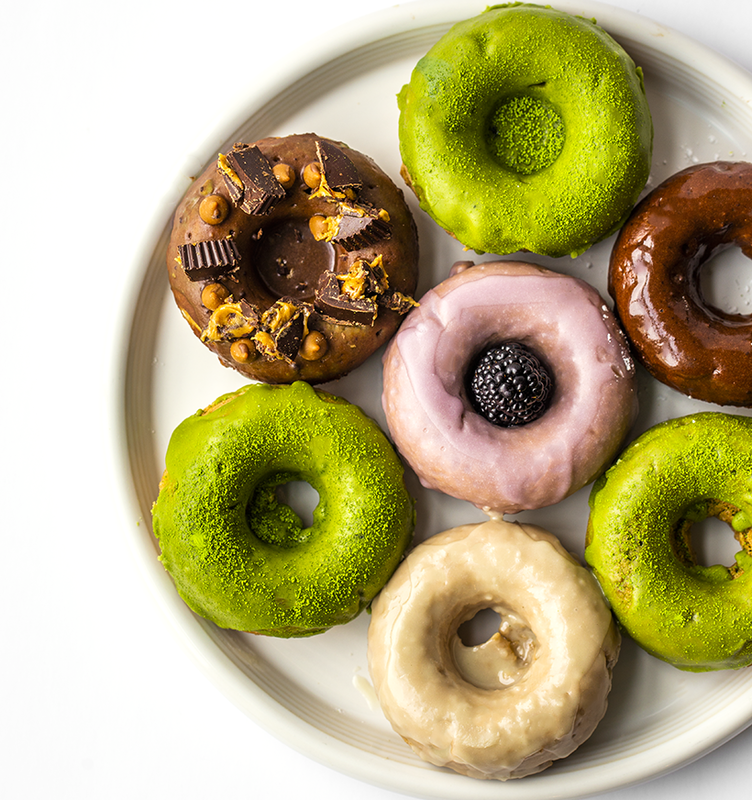 Go flashy with rainbow colors, or do a simple and beloved chocolate glaze. 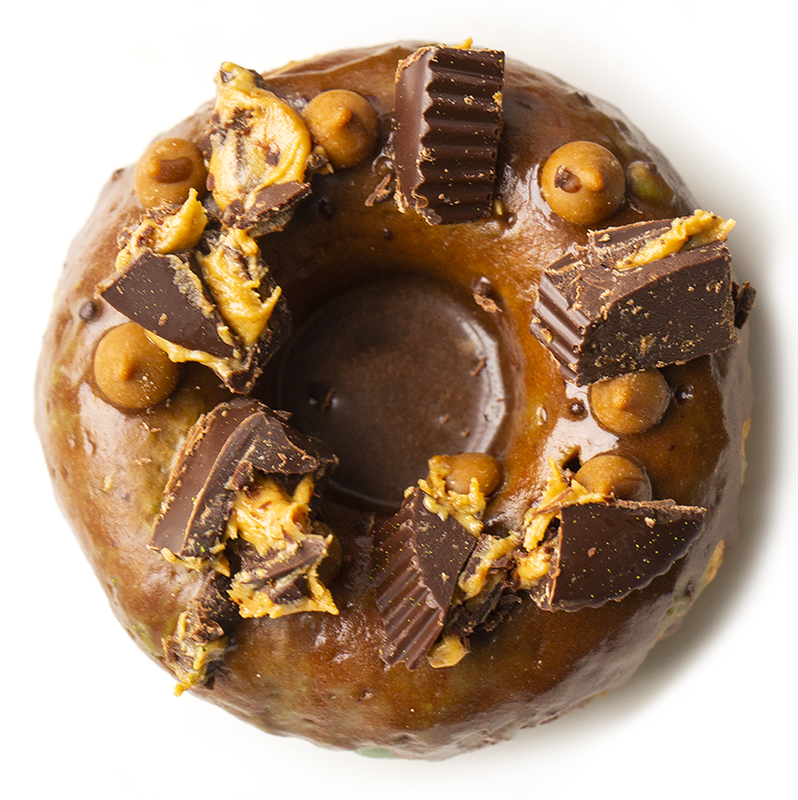 One thing is for sure, these are fun, delicious and perfect for sharing! 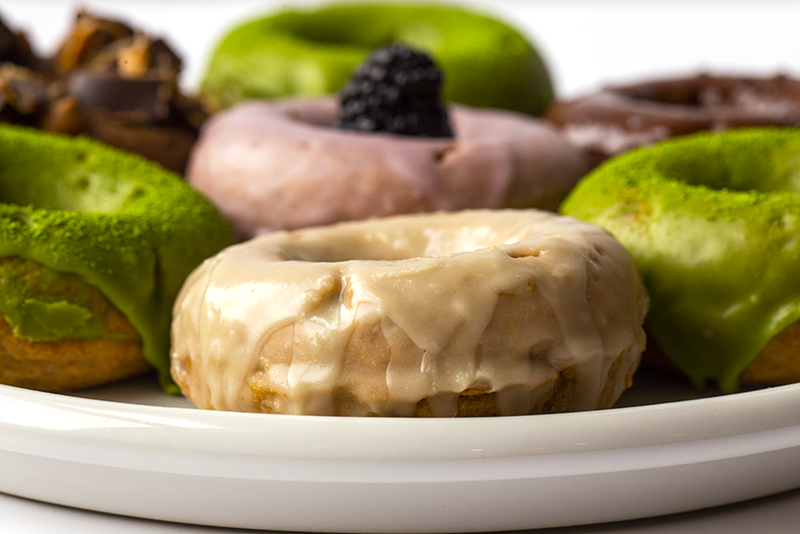 Brighten someone's day and bring them homemade donuts! 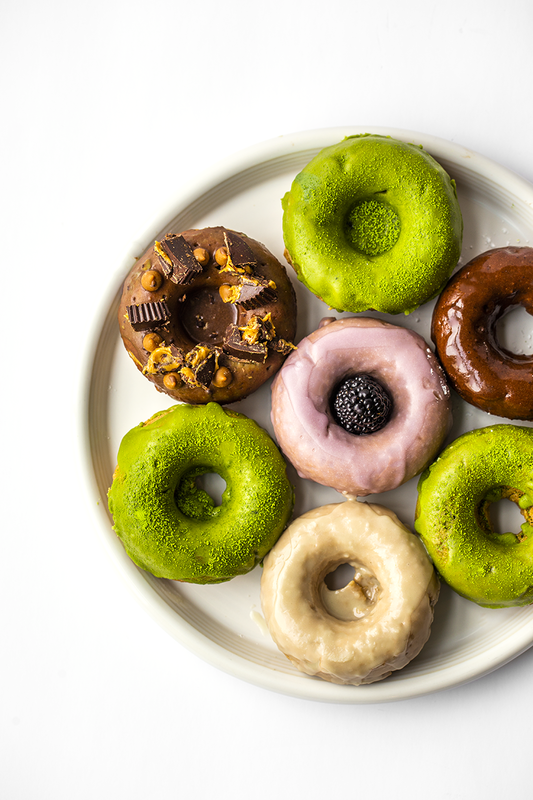 This recipe would also be really fun to make with kids because there are just SO many ways you can decorate the tops of donuts. 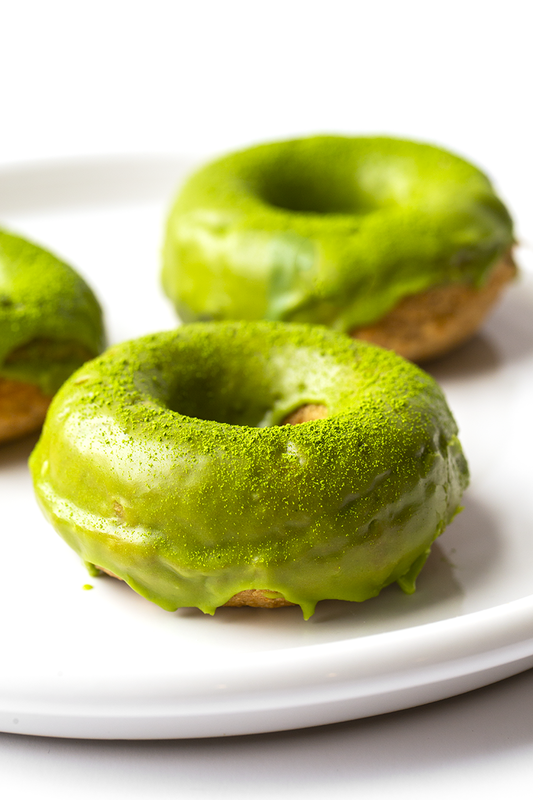 Here are a few ideas for decorating donuts..
- matcha - I love Encha - read my matcha buying guide ---- matcha also works so well to create natural green color. Spelt Flour. I used spelt flour today. Spelt is probably my overall favorite baking flour when I can get away with it. 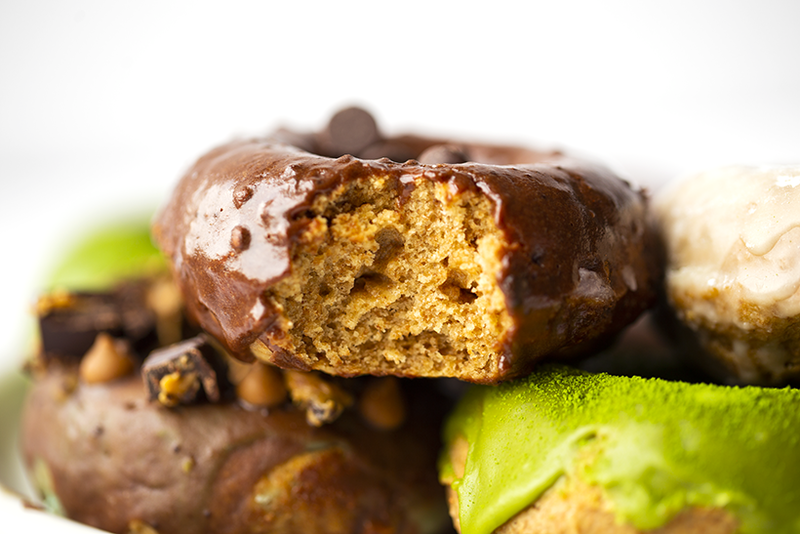 It works so well for donuts! Spelt is an ancient grain and it has a good amount of protein. It has a sweet, nutty and mild flavor. I find it to be very fluffy and just smooth to consume. That being said, spelt flour is actually pretty easy to sub in and out in exchange for all purpose wheat flour. So while I did not test that today, regular flour should work well. 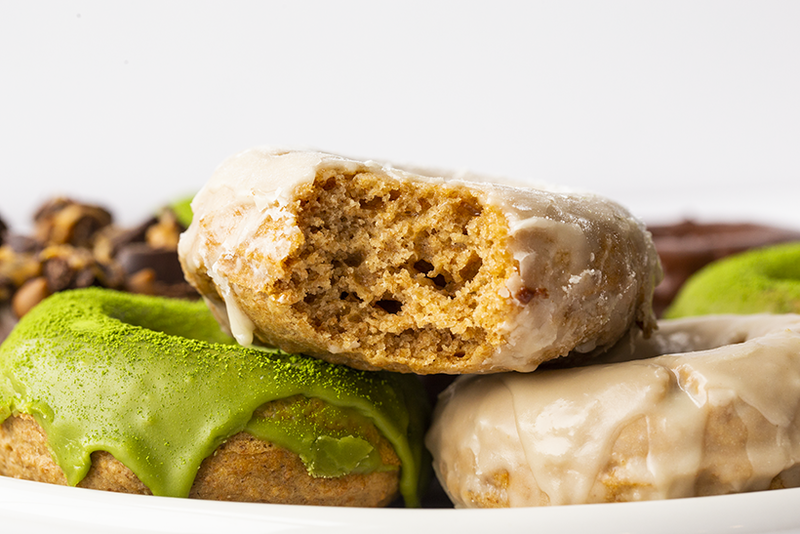 These fluffy vegan donuts are topped with a sweet, silky glaze. Preheat oven to 350 degrees. Grease a donut baking pan with coconut oil. Combine in a large mixing bowl: flour, salt, baking powder, sugar. In a small bowl, combine the flax seed, water, non-dairy milk, vinegar and vanilla. Whisk briskly for a minute, then set aside to allow the flax seed to thicken the liquid. Whisk one more time before adding to the dry mixing bowl. Also add the coconut oil to the mixing bowl. Stir briskly until fluffy and well-combined. The batter will be fluffy and like a very wet bread dough. Spoon the batter into the donut tin. If you fill the donut pan to the brim, you will get nice and fluffy donuts. 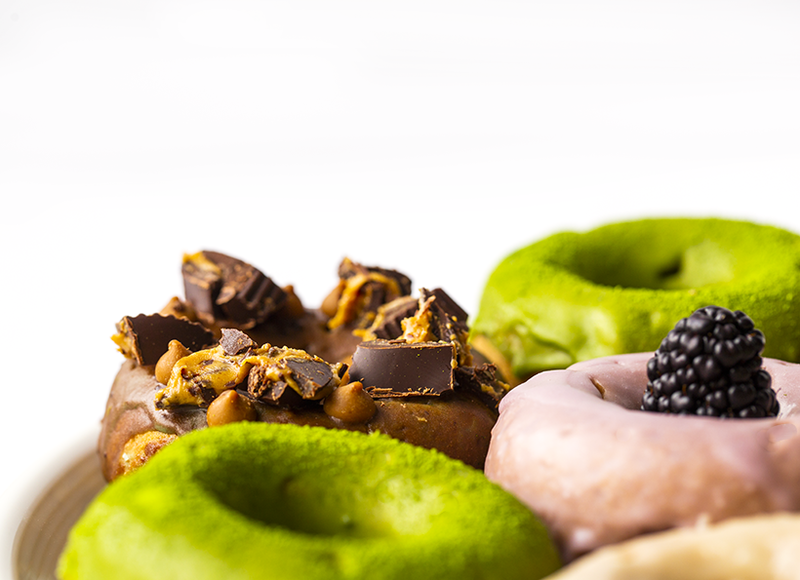 If you only half fill, you will get half-formed donuts. Your choice. I like to fill mine to the brim. Cool donuts for a few minutes before carefully loosening with a butter knife and transferring to a cooling rack. Whisk together you glaze. You can add coloring or not. 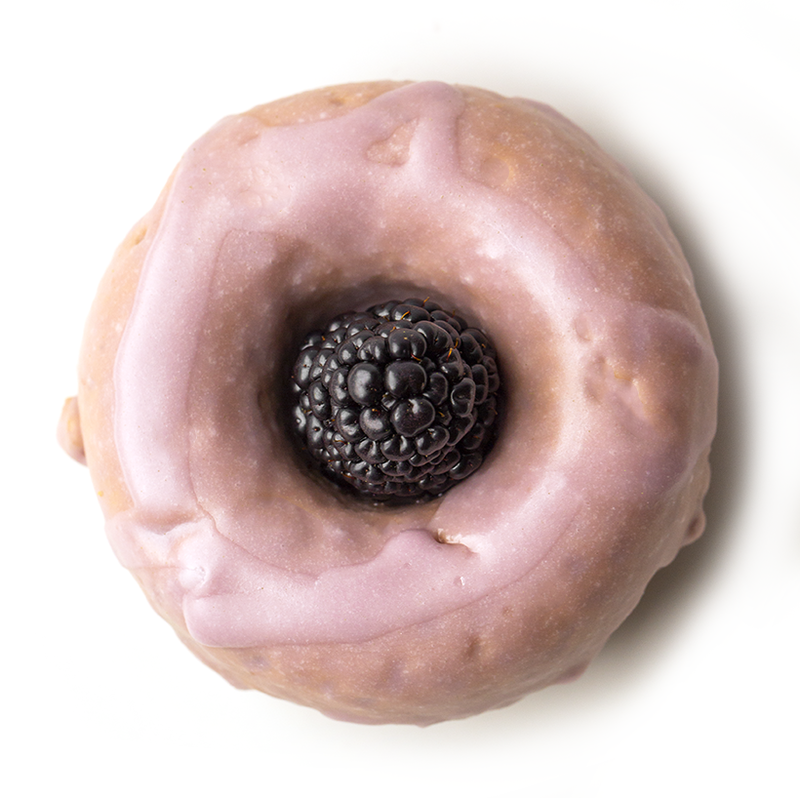 You also have the option of making chocolate glaze instead. 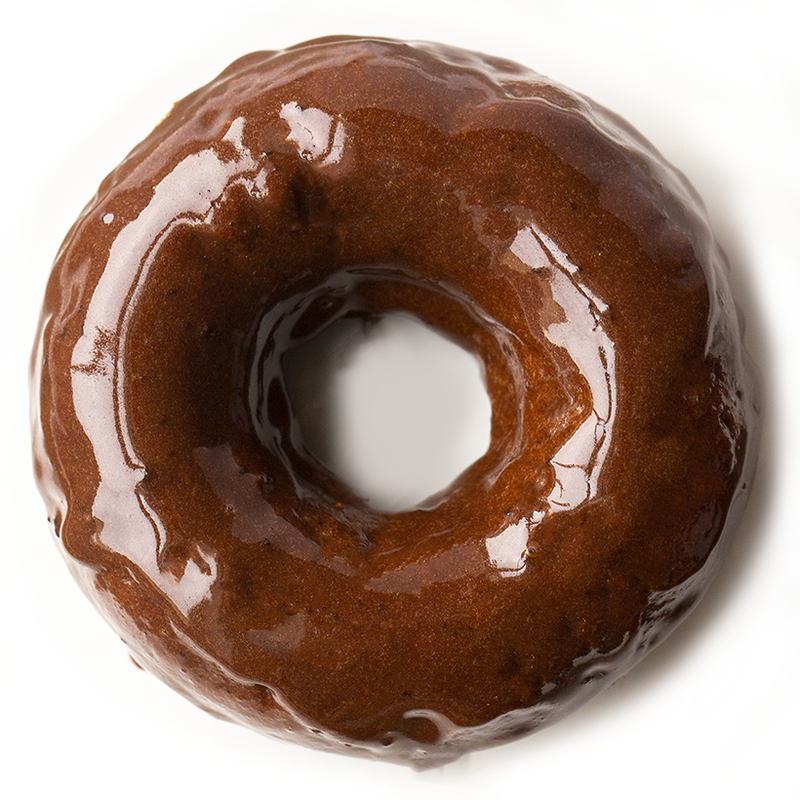 Chocolate glaze reduces the sugar to 3/4 cup and then adds in 2 1/2 Tbsp cocoa powder. I usually increase the oil to a full tablespoon for my chocolate glaze. 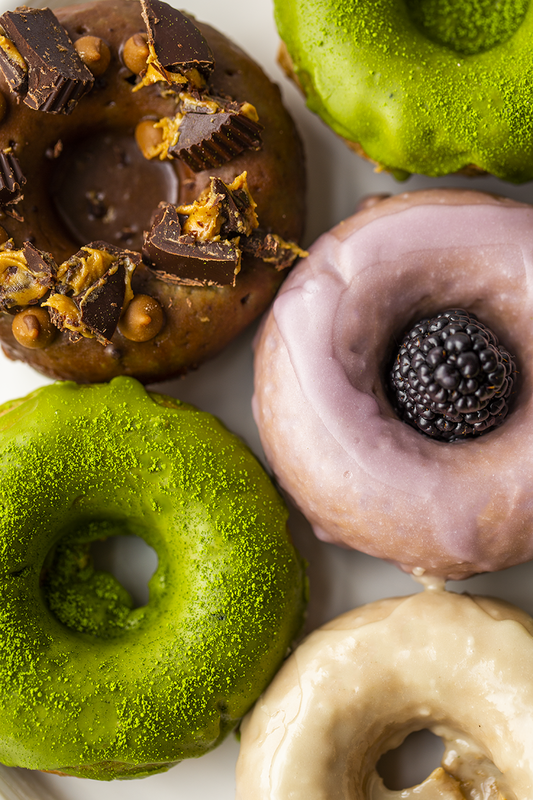 When the donuts are cooled, you can dip them in the glaze. Let them drip and 'dry' on the cooling rack, then dip again. I usually do at least three dips for maximum glazed coating. Add any additional toppings you'd like. Serve. Store leftovers, covered, in the fridge for up to a few days.